Port Welding is a full-service metal fabrication company located in southern Ontario specializing in CNC metal cutting and forming. From design to manufacturing to finishing, we provide our customers with a full circle solution to metal parts fabrication. The precision and technology of our CNC laser cutting machines allows us to achieve exceptional accuracy when producing components to spec. 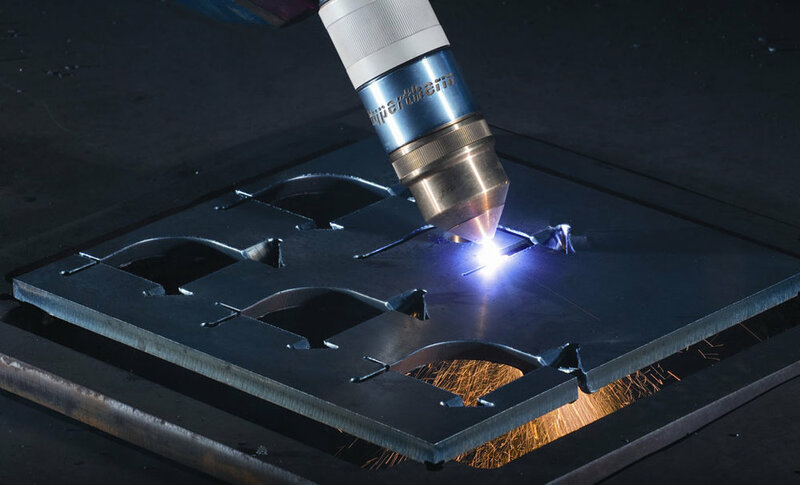 High-volume parts manufacturing with cost-effective production is the power of Port Welding’s high definition plasma cutting services. Cutting up to 2-inch thick material, plasma cutting offers fast production of heavy-duty parts. Coupled with our nesting software, plasma cutting provides maximum material use for cost efficiency as well. 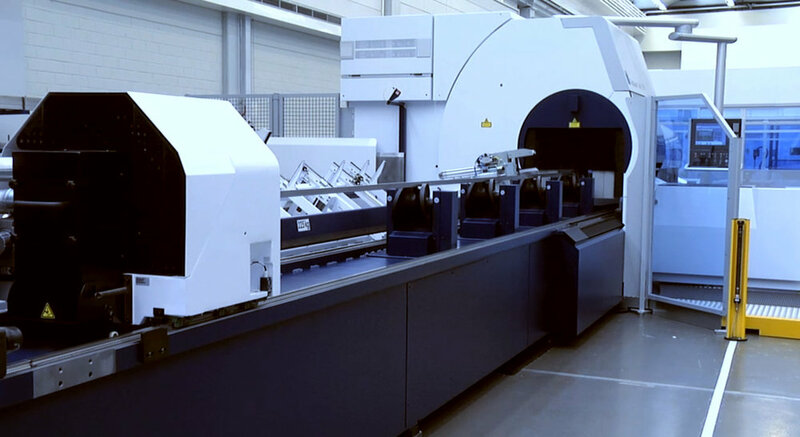 Automated and precise, tube laser cutting reduces costly and timely multiple processes into one CNC controlled workflow. With the ability to cut across each side of square, rectangle and round tubing, and angle and channel bar, Port Welding creates finished parts in one quick step that will save you money and keep your timelines short. • Diameter of up to 10 in. Our CNC punching capabilities allow us to process a diverse range of sheet metal parts with flexibility. • Working area-Punching operation: 100" x 50"
• Maximum sheet thickness: 1/4"
CNC machining refines parts for perfect fit and function. The multi-tool, automated process offers finished edges and details that demand high tolerance, including bevels and threaded holes. High-volume and high quality CNC production keeps your contract-manufactured parts on spec – piece by piece. 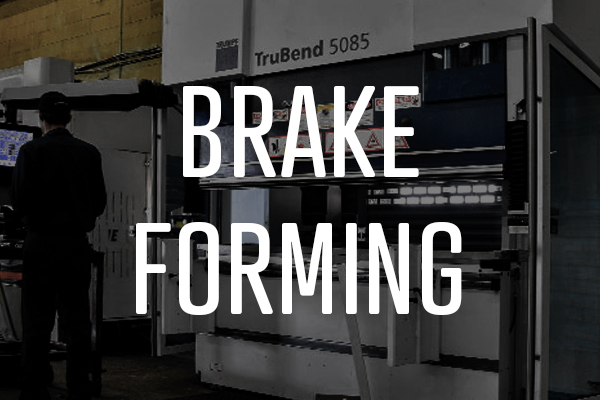 Port Welding puts on the pressure with press brakes for bending and forming parts into custom shapes and angles with 375 tons of force. 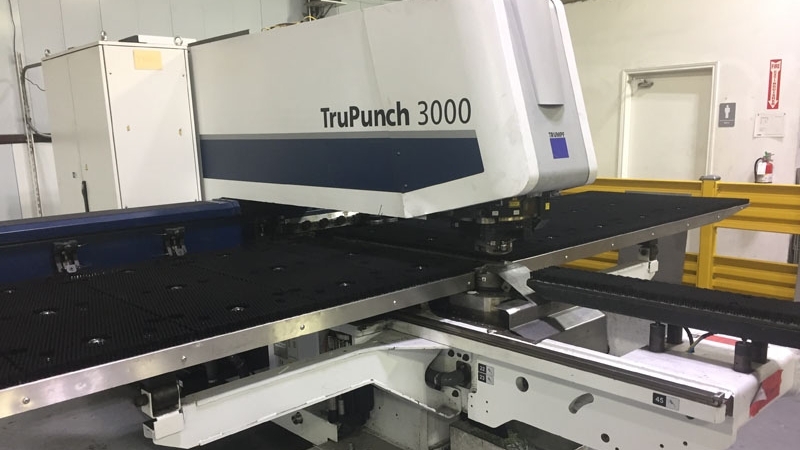 Capable of forming steel up to 12-feet wide and multi-axis, finished parts of all sizes are accurately and efficiently produced. Port Welding’s press forming equipment also includes automatic crowning, hardened and precision ground tooling for exact and consistent metal parts production. Changing tooling quickly assists with more efficient production, especially on multi-axis brake press metal forming. Putting it all together with clean, smooth welds is the skill of Port Welding’s CWB certified Welders. Offering MIG, TIG and spot welding, Port Welding’s contract manufacturing in Canada gives you instant capability and fast delivery with quality you can trust. At Port Welding, our full service customer support starts with our custom design services. Our trained design staff will work with you to create the 3-D CAD design to meet your needs. If you can think it, we can design it using 3-D CAD design software, Solidworks. Working with this advanced level of design gives you a clear visualization of your part and how it will mechanically work. Watch it move and see it rendered into an unbelievably realistic image of what will be the end result. Bring your CAD files or even your napkin sketches and we’ll help you get started. After design and fabrication, we’ll help you put your parts together and add the finishing touches. We offer full product assembly and delivery right to your door. Add some colour that will last with our powder coating and protect your parts with our zinc plating or galvanizing process. We’ll turn your custom parts into a finished product. Thank you for contacting Port Welding. We will get back to you as soon as possible.